What’s in store for the Seminary campus? 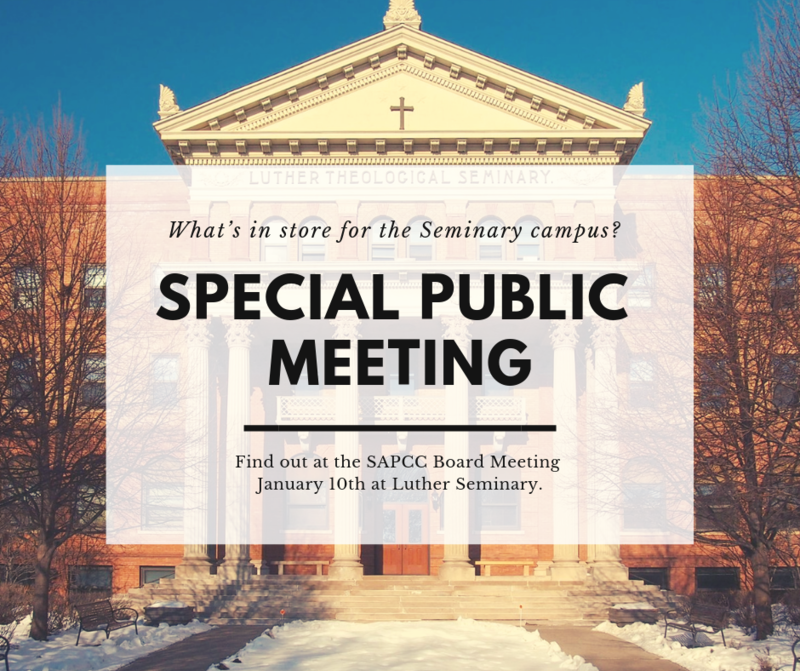 In a public meeting, we will hear from representatives of Luther Seminary and the development team that has been chosen to purchase and develop about 15 acres of Seminary land. The development team is Master Properties (market rate housing), United Properties (senior housing), and CommonBond (affordable housing). The land involves the cities of Saint Paul and Lauderdale. The meeting will be managed by the Board of the St Anthony Park Community Council. Both the Seminary and the development team have been asked to give brief presentations to allow members of the community to ask questions and to make brief comments during the remainder of the time until 9 pm. It is our understanding that at this time the development team has only general concepts for the use of the land, the scale and placement of buildings, patterns of traffic flow, the amount of Breck Woods that will be preserved, and so on. This will be the first of several meetings in which the Council and community can work constructively with the team. We expect the discourse to be civil and non-confrontational. The auditorium is on the lower level of Northwestern Hall, with entrances from Fulham and Hendon. Parking is available in the lot behind the building, entry from Hendon. Parking is limited on the streets. Please share rides if you must drive and walk if you are able. A couple of handicapped parking places are in the lot. Both Routes 3 and 30 Metro Transit buses stop at Eustis and Como. Childcare will be available, but parents must describe their needs to Kathryn Murray (kathryn@sapcc.org) before January 7.